Looking for something yummy to make that is gluten free and healthy for all those summer BBQ’s? 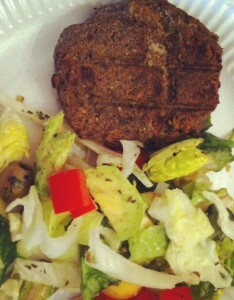 Here is my version of a Bean and mushroom burger, it’s low fat, healthy and best of all it’s gluten free. Drain and rinse the beans, then place in a food processor. If you don’t have a food processor you can use a hand held blender or a potato masher. Blend the beans and then add the mushrooms, breadcrumbs, herbs, spices and egg and mix well. 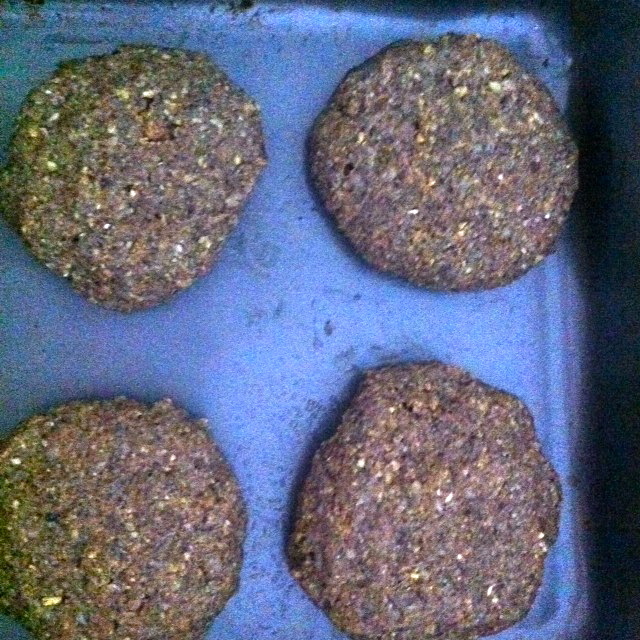 Make the mix into either 4 large burgers or 8 smaller ones by rolling it in your hands and flattening it slightly. Place the burgers onto a greased baking tray and refrigerate until needed. These can either be grilled or put onto the BBQ. 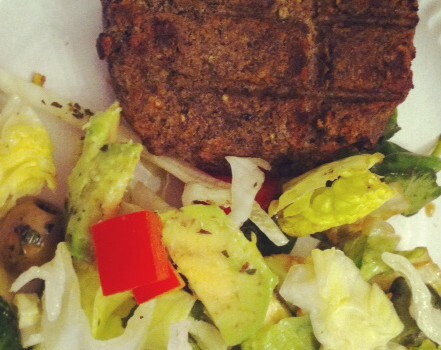 I suggest serving with homemade guacamole and salad. Slice the avocado in half and remove the stone, then use a spoon to scoop out the flrsh and mash the flesh using a fork. Add the juice of half a lime, the chilli and crushed garlic and mix. Hi! How many mushrooms in the burger recipe? Sorry about 100-150g should do it. Thanks for pointing that out. Enjoy.